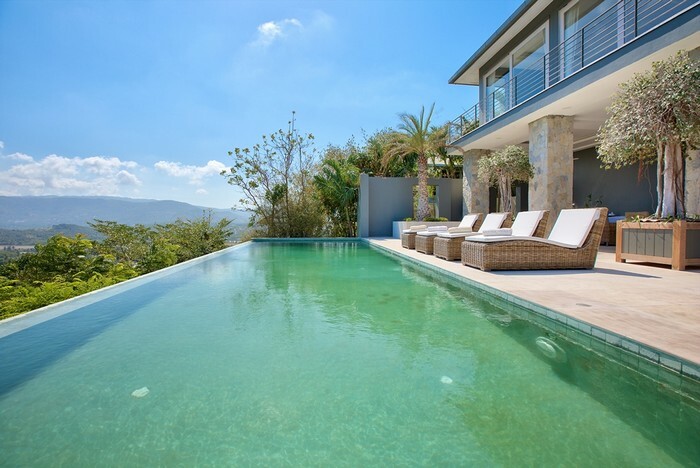 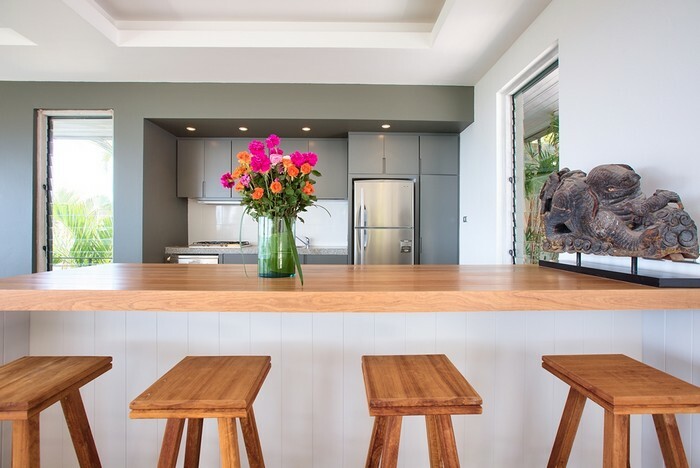 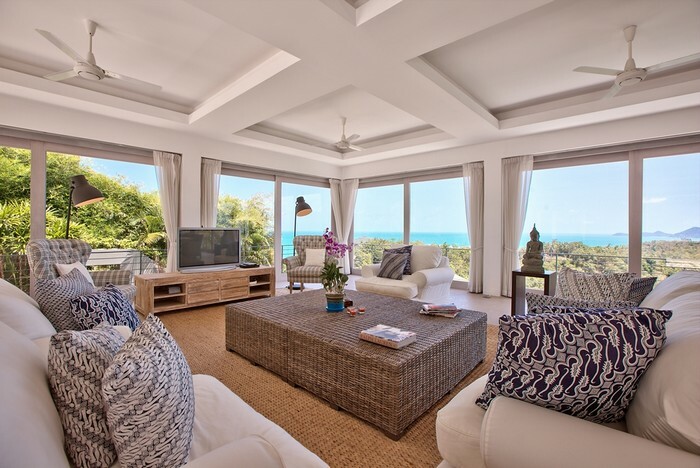 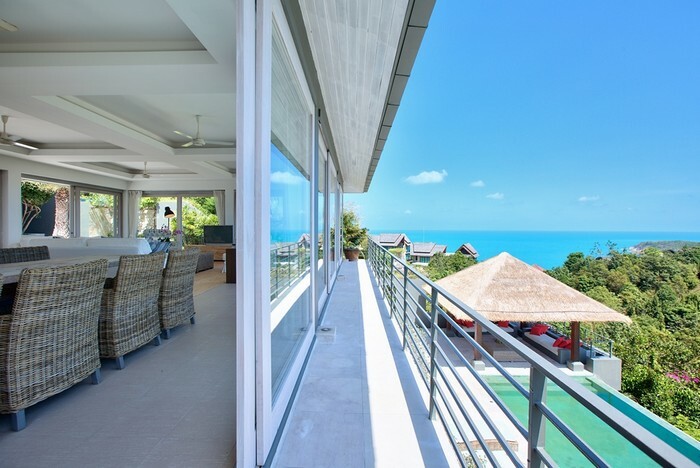 Specifically conceived and built to provide rental guests with all the comfort and convenience of a modern home, but in a stunning tropical setting. 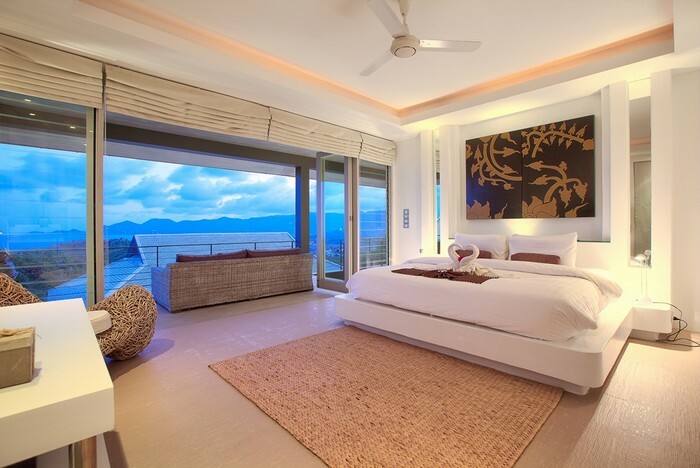 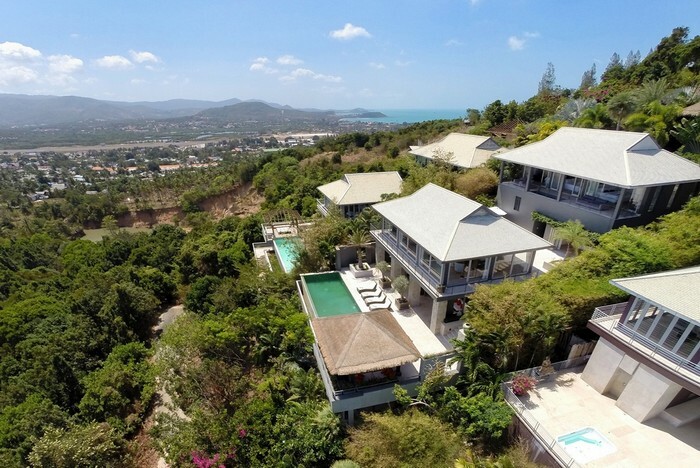 The villa offers a range of first class facilities and amenities in a dramatic, oceanview location that truly makes the most of Koh Samui's unique natural surroundings. 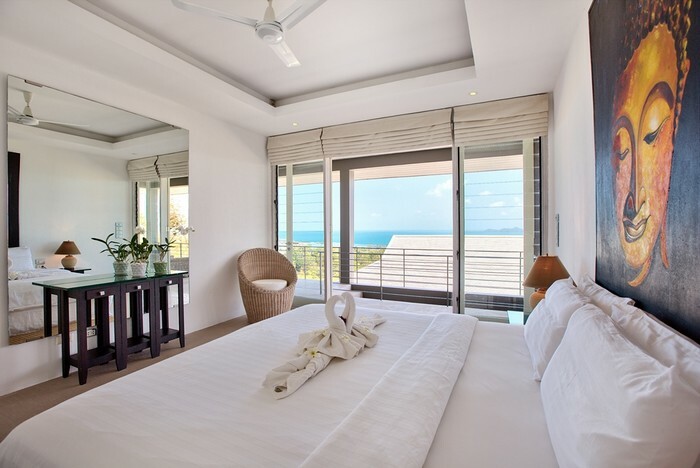 Ideal for a private family holiday, for couples or a group of friends sharing the property, with generous communal facilities, wide balconies and luxurious bedrooms mean there’s plenty of space for everyone to relax in peace and take in the stunning island views that provide a constant backdrop to the stay. 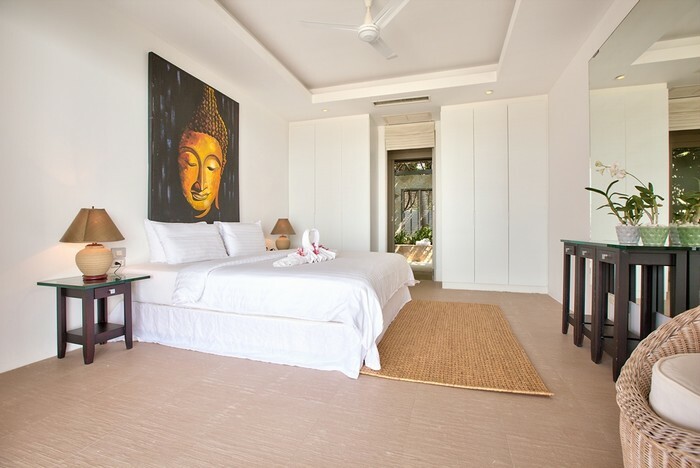 The property’s generous bedrooms and spacious living, dining and relaxation areas are spread through two buildings, separated by an open air courtyard furnished with outdoor sofas and armchairs. 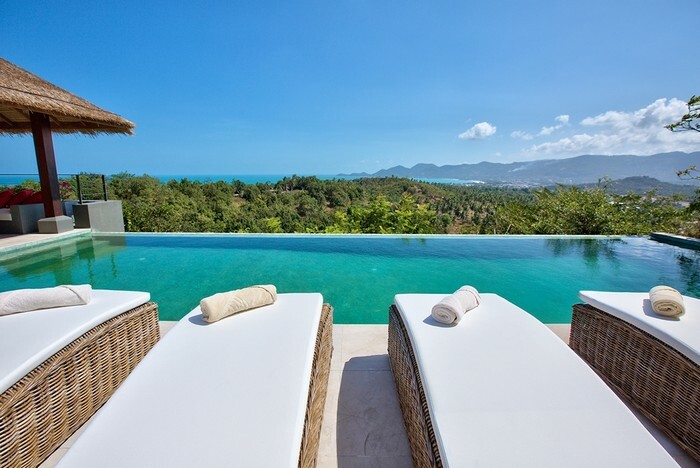 All the rooms are served by steps that lead from the villa’s entrance down the side of the house to a large, lower level sun terrace, 12-metre private pool and cushioned, seaview relaxation sala. 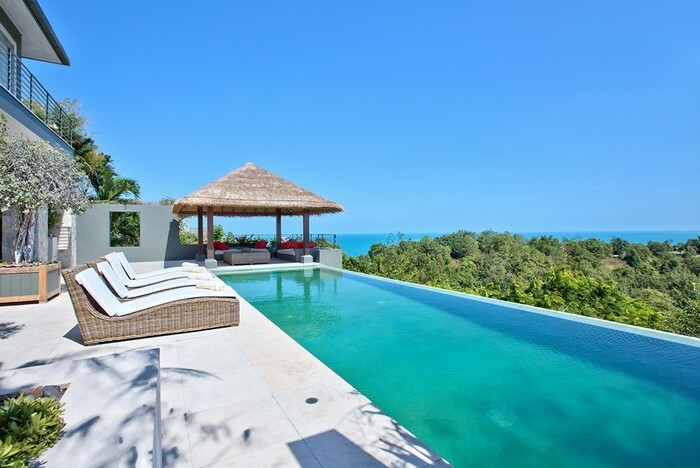 The unique lower level poolside lounge and terrace offer the perfect place to spend lazy days and evenings soaking up the Samui sun, sea breezes and stunning views in peaceful, cushioned comfort. 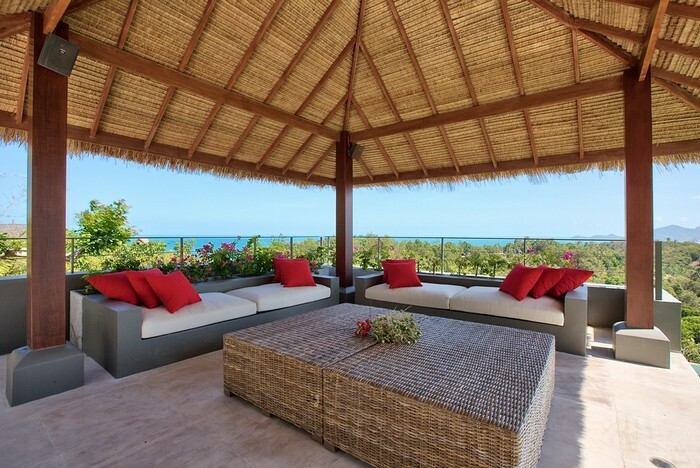 Oversized loungers provide an appealing place to recline and catch the rays, while an equally indulgent relaxation sala offers shaded retreat. 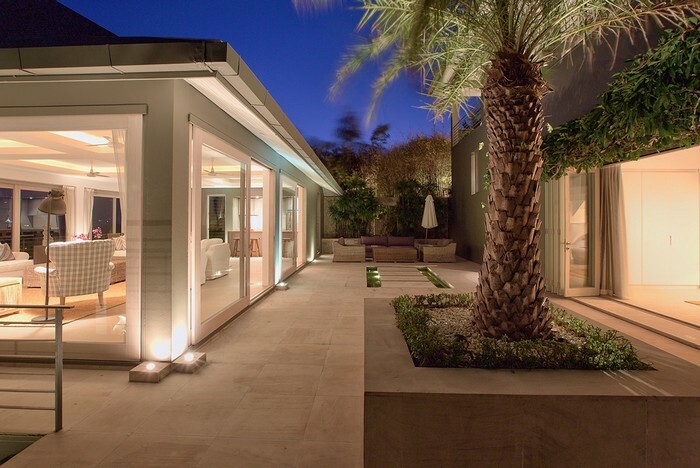 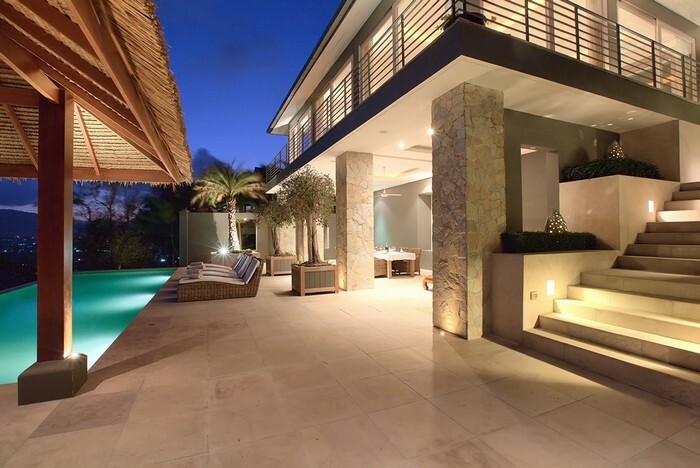 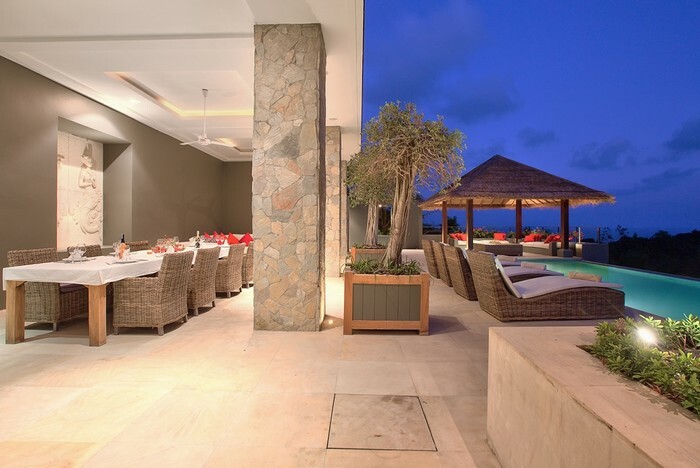 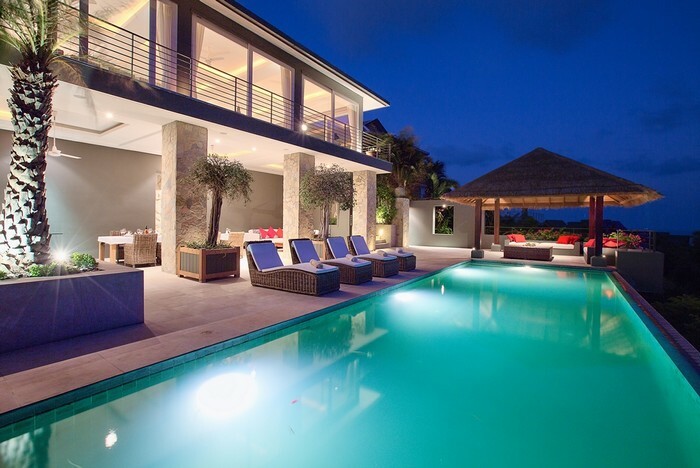 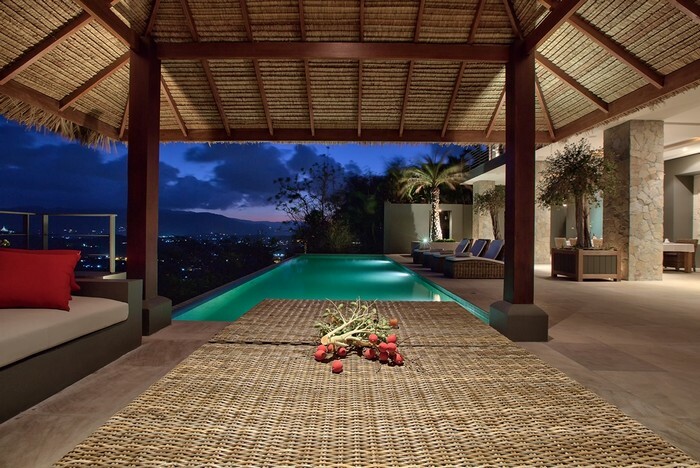 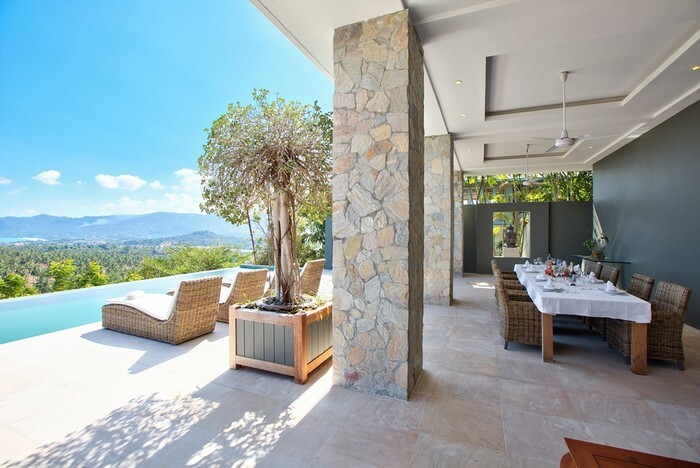 The villa’s second expansive living and dining area fills the poolside space beneath the upper floor lounge. 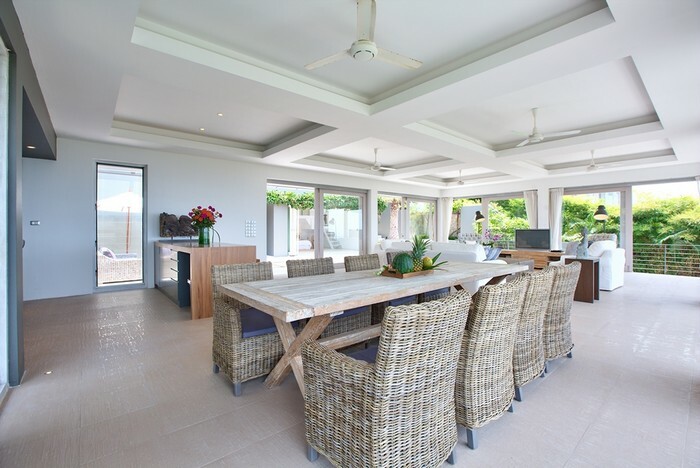 This area is furnished with a large sofa, coffee table and another 8- seater dining table and chairs, perfect for al fresco meals. 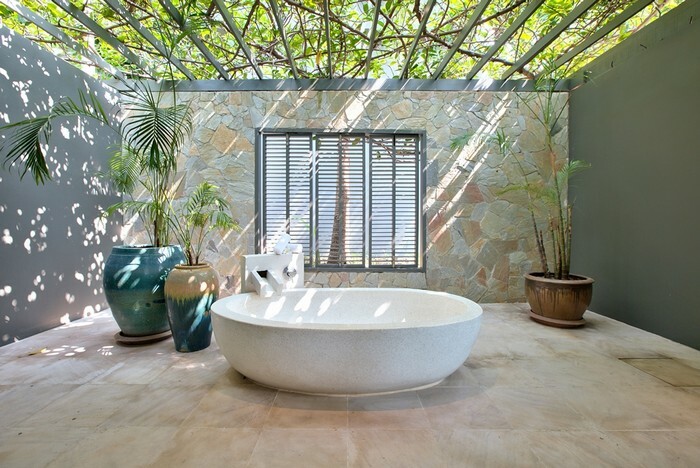 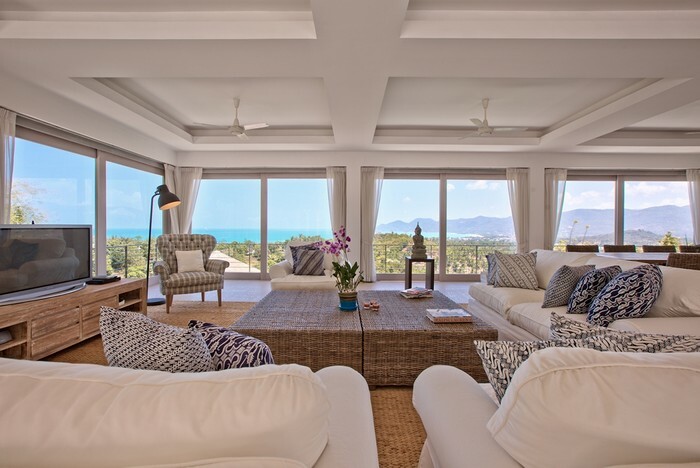 The residence offers couples, families or groups of friends an idyllic private island retreat. 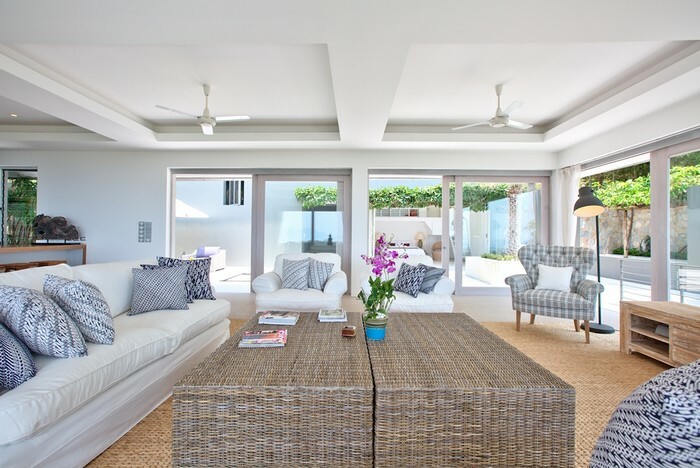 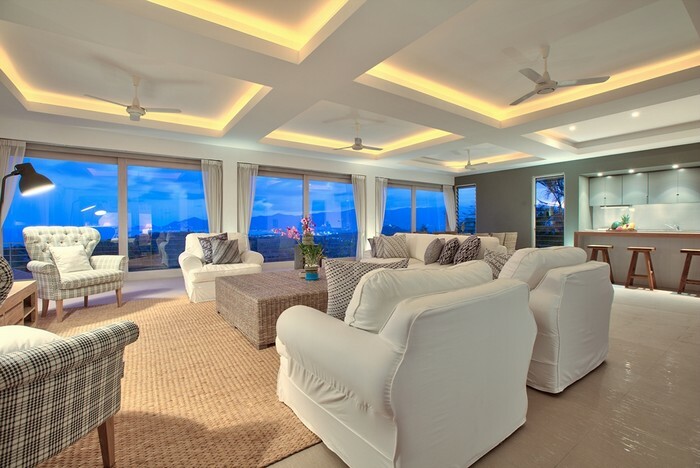 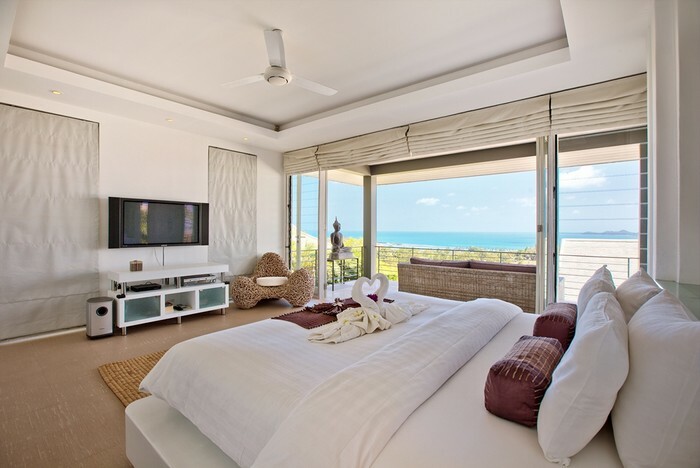 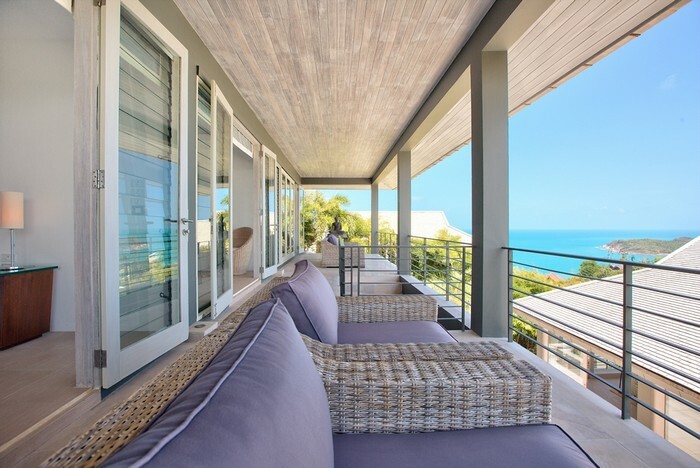 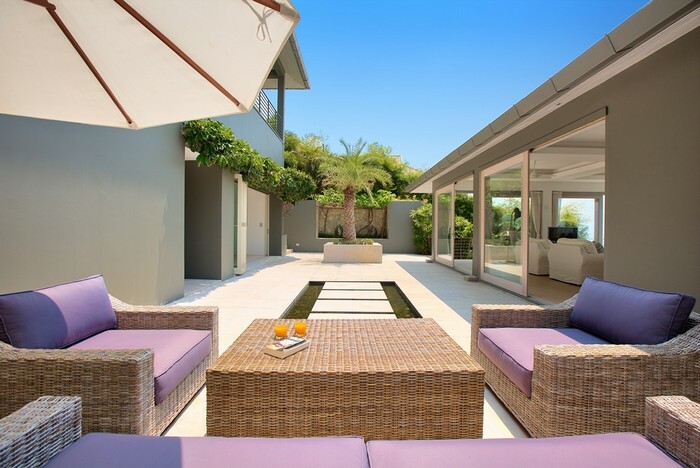 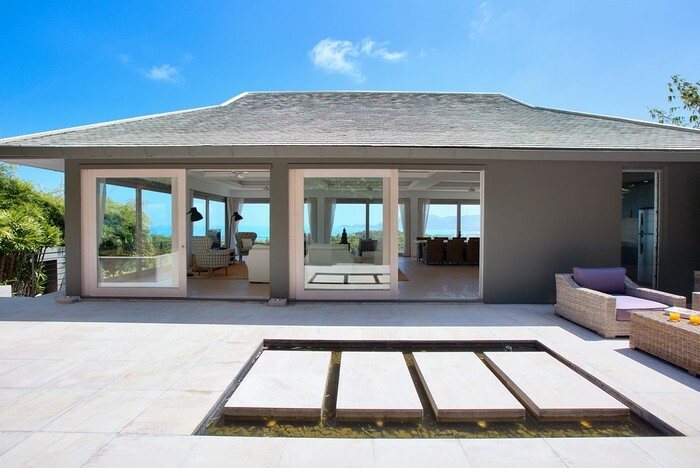 The spacious, practical layouts and fold-open room designs means guests can easily drift between the living spaces, poolside areas and bedrooms, constantly bathed in stunning ocean views. 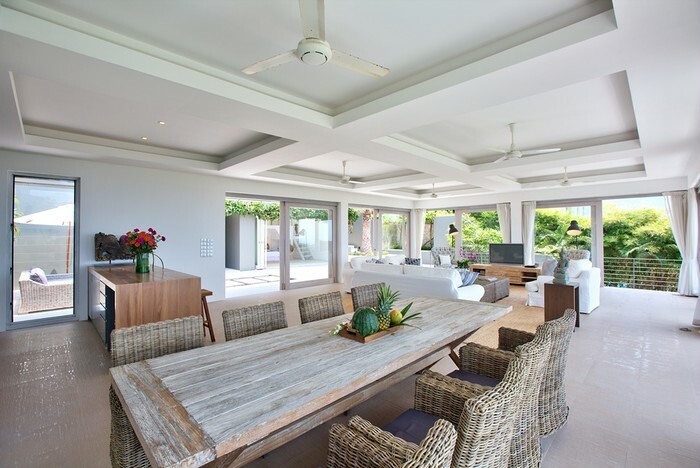 The villa’s multiple outdoor spaces also encourage guests to make the most of the tropical location, whether reclining in comfort between cooling dips in the pool, sharing a delicious meal with family and friends around one of the impressive dining tables or enjoying a relaxed evening in front of a movie in the upper floor lounge. 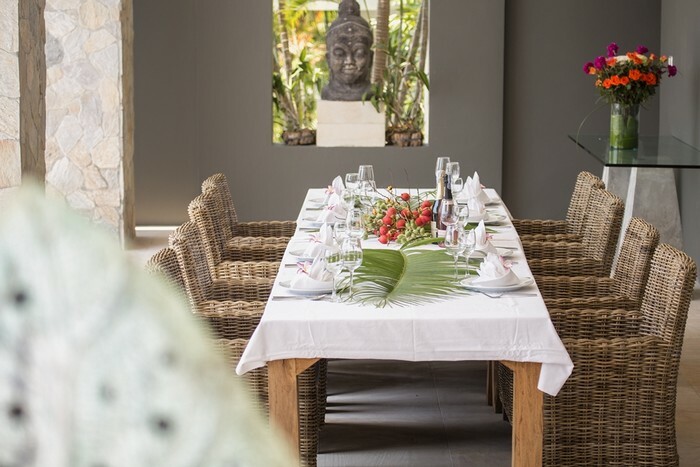 The villa’s well trained staff take care of details and requests, and the manager is also happy to arrange for a private chef (charged to guests' account). 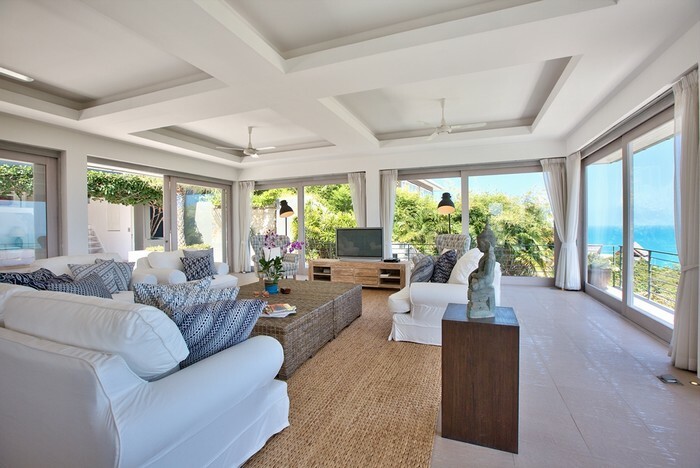 Despite its secluded location, the villa's sophisticated interiors and entertainment systems mean every holiday pleasure is close to hand. 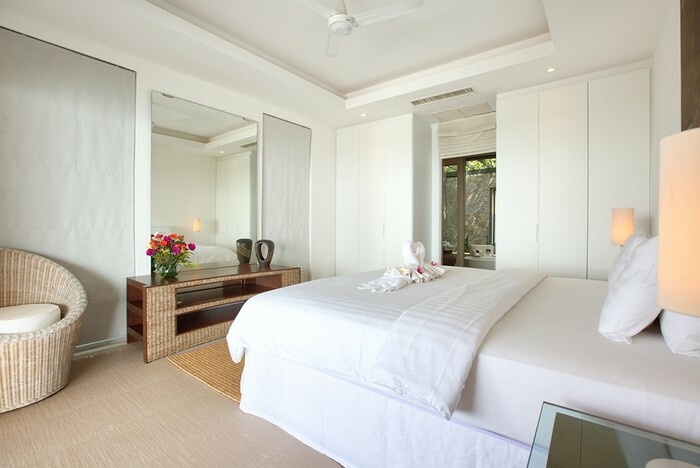 There’s also a range of appealing island attractions and activities within easy reach by car. 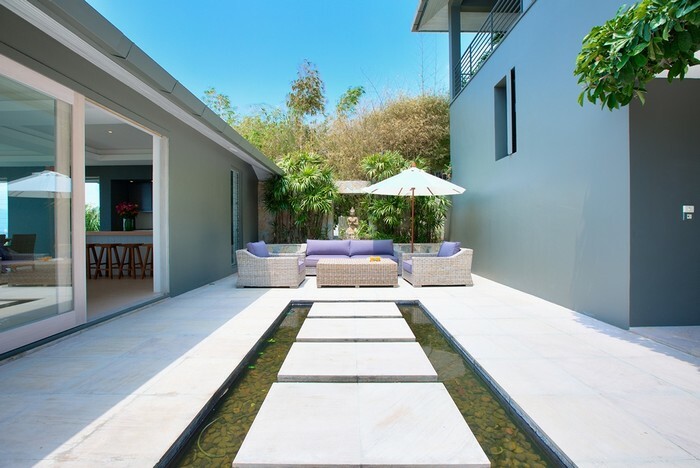 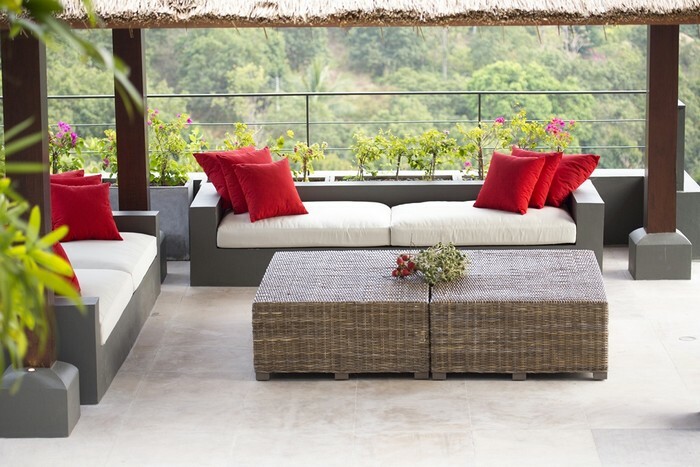 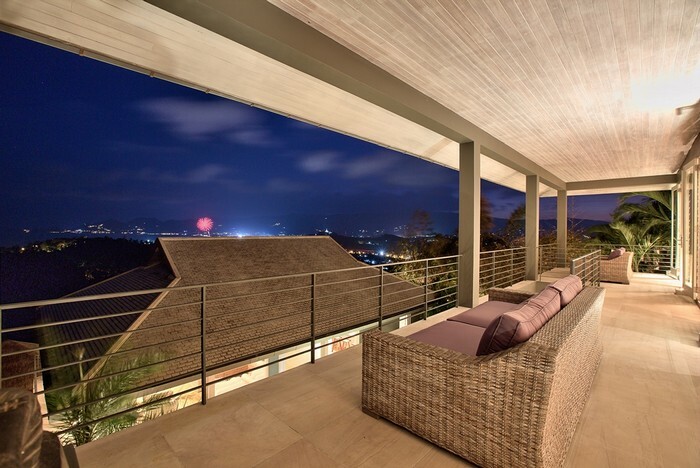 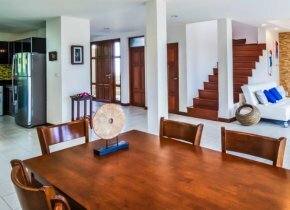 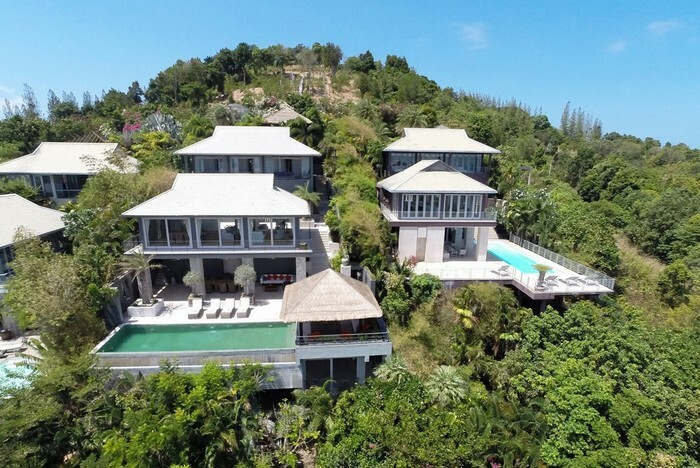 Sitting on a lush hillside around 5 minutes' drive from the main Samui Ring Road at Chaweng, making the villa a perfect base for beach trips and island activities. 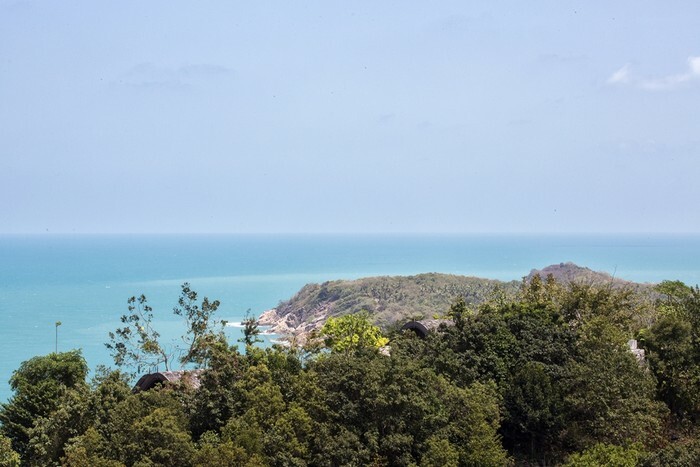 From there, a short drive takes you straight to the island's most popular bustling beachside strip, while the airport is only 15 minutes to the north, as are the popular beach bars and bistros in Bophut’s famous Fisherman's Village. 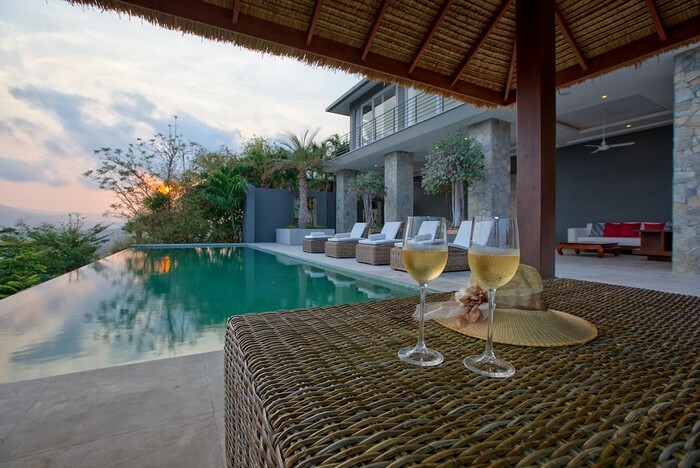 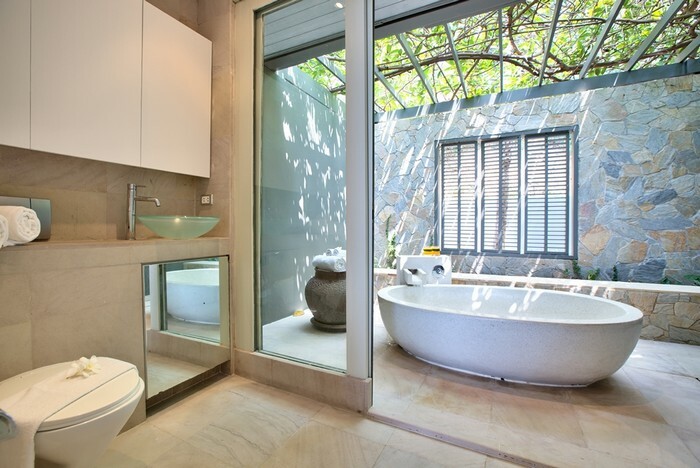 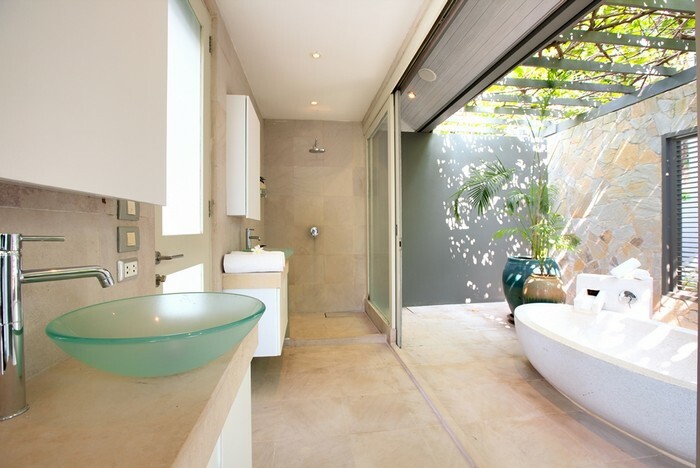 The villa's location and design allows guests to combine peaceful, exclusive relaxation with more active island pursuits.